THE RECORD FAIR IS IN TWO DAYS!!! ... and we can't wait! Check out the newly updated FRIENDS and VENDORS pages to see all the goodies we're gonna have for you this year! THE FIRST 500 ATTENDEES WILL GET A FREE TOTE BAG CONTAINING A FREE VINYL RECORD, COURTESY OF VINYL ME PLEASE! New & returning Other Delights for 2017! Be sure to check out our massively updated FRIENDS page for all the latest on this year's Other Delights! Since we'll have the lower level, expect LIVE MUSIC sets from members of Impulsive Hearts, Half Gringa, Beat Drun Juel, Dust Bunnies, and more! We'll also see a guest DJ set from local rockers Flesh Panthers (more guest DJs to come! ), and the Nest will be open once again for creative activities from South Side Hackerspace, Tandem Felix Letterpress, Busy Beaver Button Co, and others! Food will be provided by Moxee American Kitchen and Puffs Of Doom, and Dark Matter Coffee will be on hand to caffeinate your crate-digging and vintage shopping. Pedal To The People will be doing bike tune-ups in the parking lot as well! Sweet 15 is going to be bigger and better than ever! Check out this fantastic poster art by our own Ian Sienicki! Posters will be available for purchase at the fair, and are available through advanced ticket purchases for a discount! Advanced purchase tickets now available! Get your tickets ahead of time and beat the line at the door by purchasing your Early Bird or General Admission ticket via Eventbrite! Tickets on sale now! Well folks, another Pitchfork has come and gone, and to paraphrase Carly Rae Jepsen, we really really really really really really had a wonderful weekend! 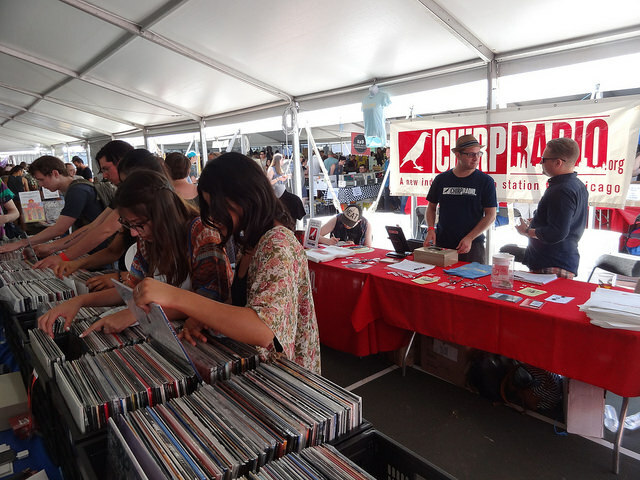 Thank you to all our vendors who made this year's Record Fair the best one yet! 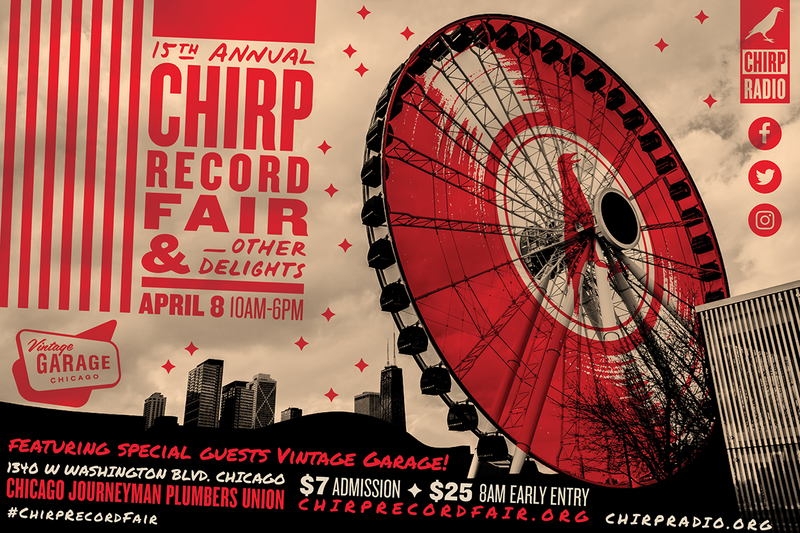 And a big ol' round of applause is in order for all the artists who stopped by the CHIRP Radio booth for record signings: BJ the Chicago Kid, Car Seat Headrest, Twin Peaks, Thundercat, and Whitney! Thanks to Shuga, Matador, Grand Jury, Bric a Brac, and Secretly Canadian for helping us pull them off.